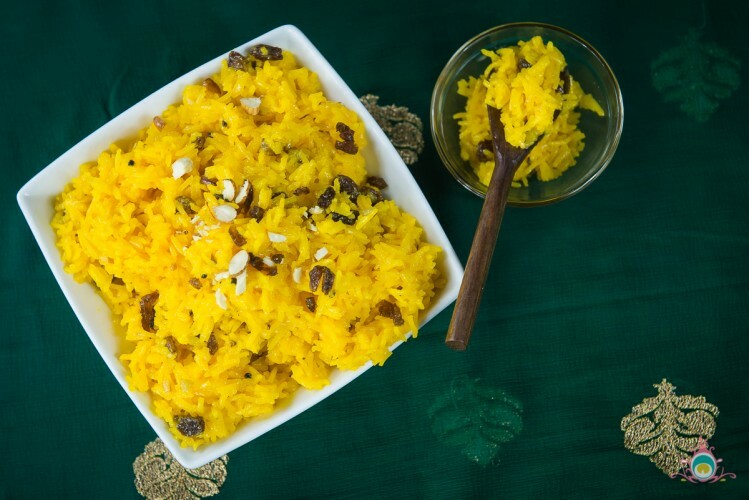 Today I’m sharing my mom’s zarda recipe in honour of the upcoming holiday of Vaisakhi. Zarda is also known as mithe chol, or meethe chawal as well. This sweet rice is a traditional dish served on celebratory occasions. 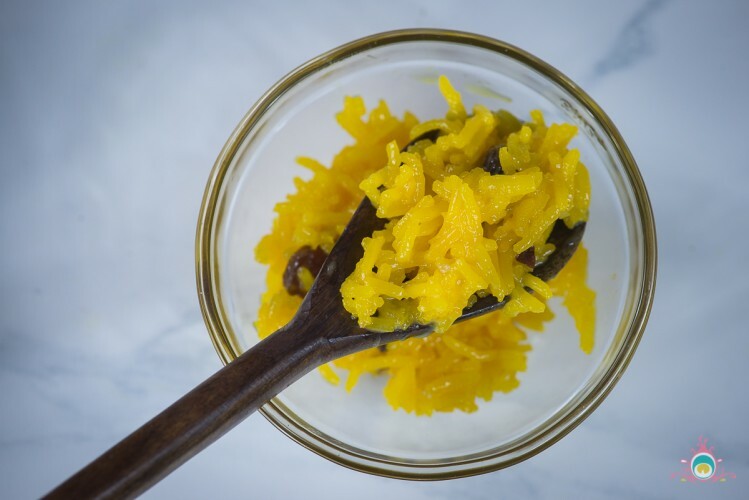 Made with lots of ghee and sugar, as all good Punjabi sweet treats are, plus the addition of the vibrant orange colour makes this a perfect selection for your Vaisakhi menu. Vaisakhi is celebrated throughout Punjab and is of particular importance to Sikhs, as it marks the birth of the Khalsa. 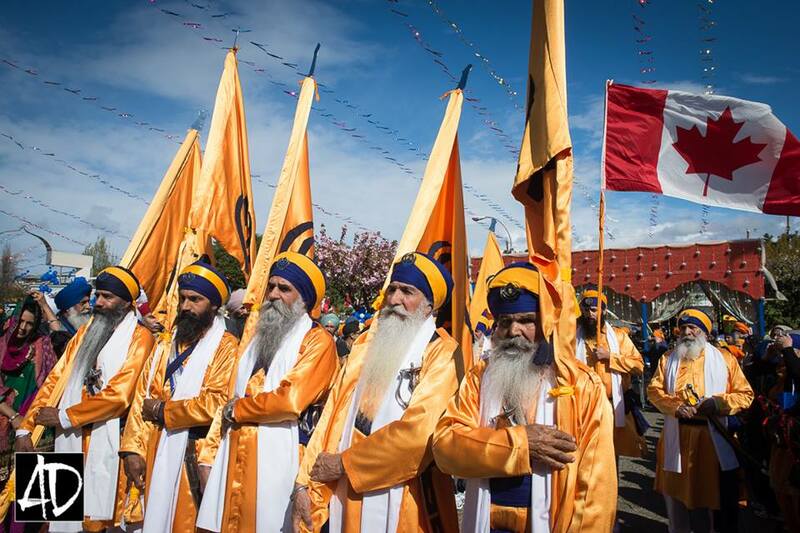 Sikhs around the world have brought the tradition of celebrating this auspicious day with a Nagar Kirtan (community procession) parade to various cities, and my city Surrey BC, hosts one of the largest parades in the world each year. I’m really excited to share that, this year I’ve teamed up with Tourism Surrey to help cover this event on April 18th, and show the diversity and culture of our city to their social media followers. The team at Tourism Surrrey has profiled me on their blog (so cool! ), and this Saturday, you can follow their social feeds to see the Surrey Nagar Kirtan through my eyes. This has got to be one of my favourite blog partnerships ever. 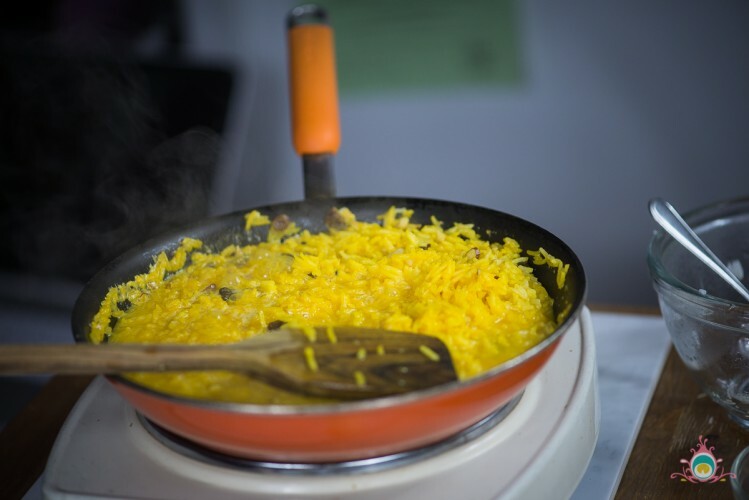 Note – Traditionally zarda is made with a good dose of cloves (10-12 in this size serving). However, my kids are not big fans of the flavour so I’ve omitted them.If you’d like to use them, add them with the nuts & raising. 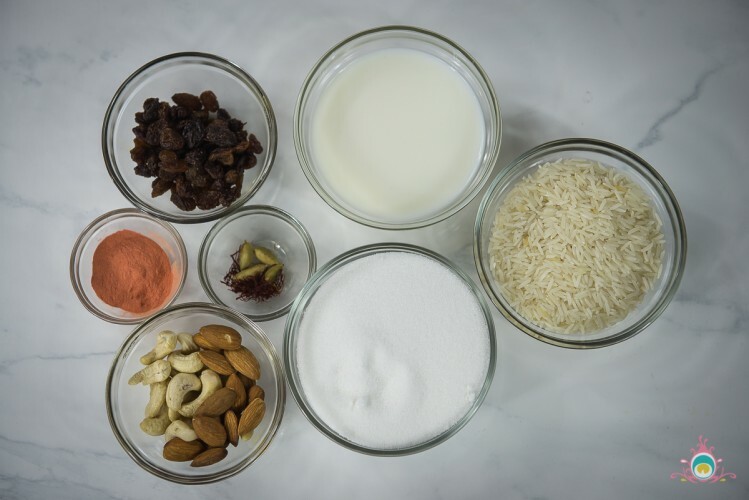 Also, a traditional zarda recipe is a 1-1-1 ratio of milk, rice, and sugar, however, you can take the sugar down a notch if you like and it will still work. So, let’s get cooking! 1. Start by soaking the rice in water for about 30 minutes and then strain it out. Bring 4-5 cups of water to boil in a pan, and add the strained rice. Cook for 5 minutes only. You want the rice to be a little soft but definitely not cooked through. 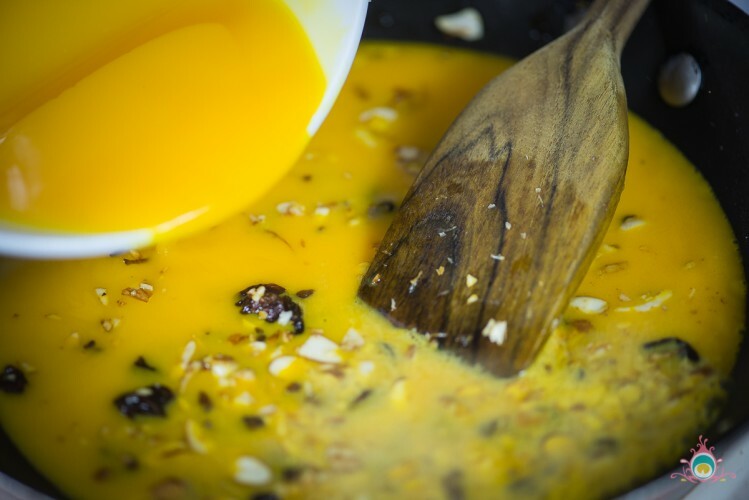 Strain the rice and add a tablespoon of ghee to it, and mix well. This is optional, but I like to spread the rice out on a cookie sheet at this time so it stays nicely separated. 2. 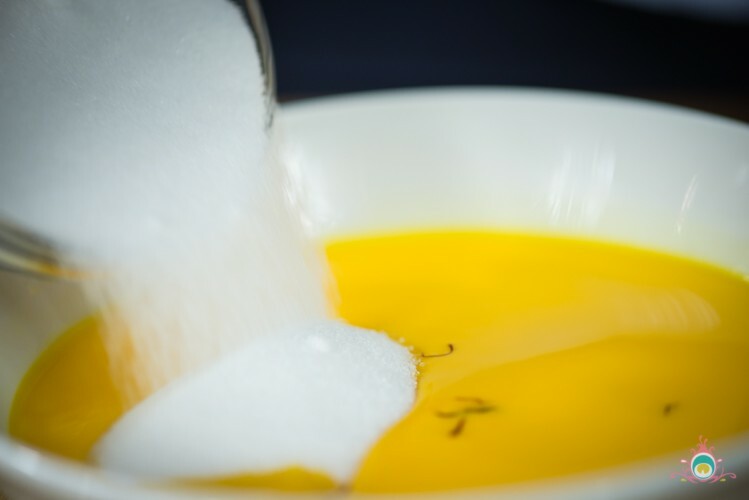 Mix the milk, yellow food colouring, saffron, and sugar in a bowl, and keep it aside for the next step. 3. 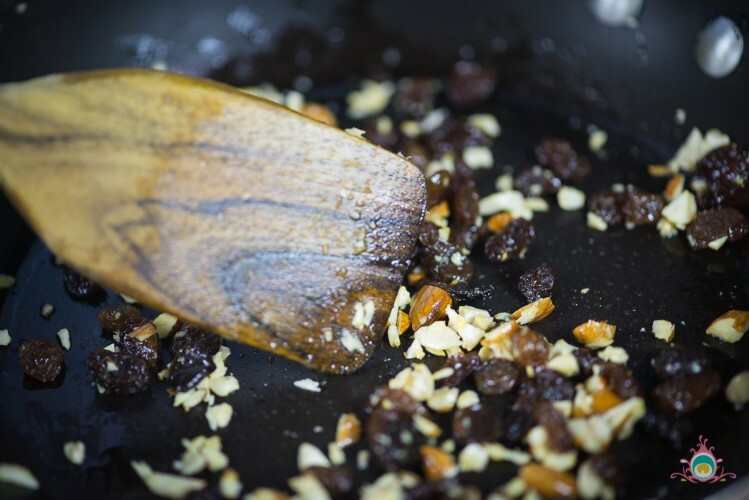 Add the milk mixture to the nuts and bring to a boil. Drop the heat down to a simmer and then add in the rice. Cover and cook on low heat for 10-12 minutes. 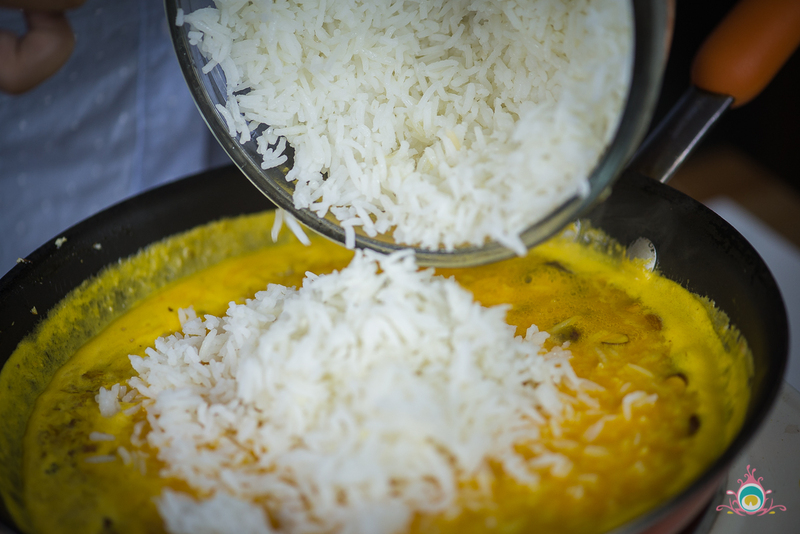 Once the rice is done you can fluff it with a fork and serve it hot or at room temperature. I prefer it warm, but some people do serve zard cold too. PS: You might like to try my traditional bhindi sabzi recipe, or ras kheer too! This looks so delicious!! Thanks for sharing… Will definitely pin it to try later! Happy Vaisakhi! 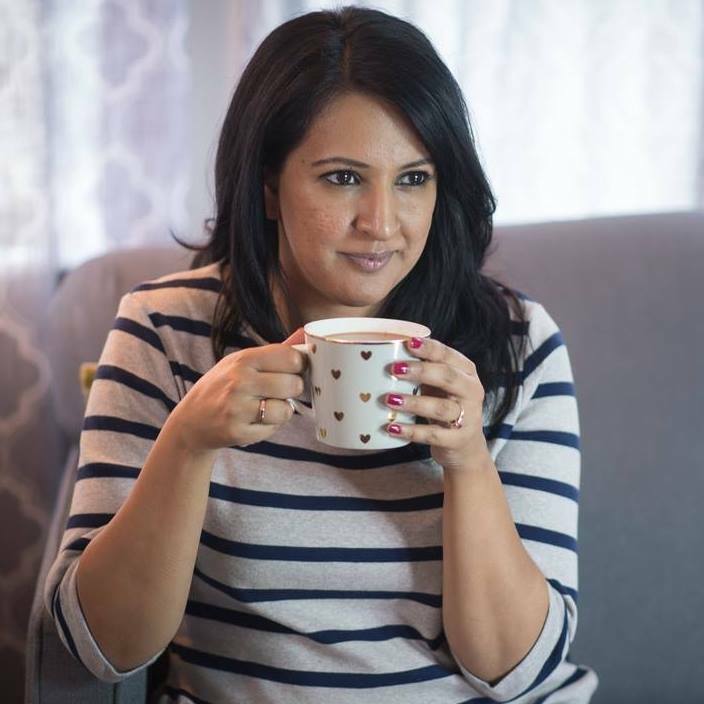 Love how you are keeping Punjabi heritage alive today with your approachable recipes and crafts. Congratulations on the feature – you deserve it! Thank you for your kind words Kamana – I try!